This festive accessory is a one-time use only . It can be activated with a simple manipulation. It is advisable to remove the glow necklaces from the tube only when it is time for the party to begin. 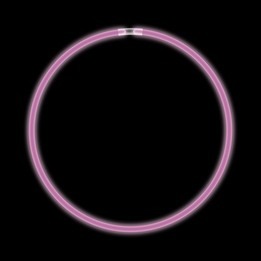 Activate the glow by cracking the necklace, the glow lasts for a period of more than 6 hours. The purple glow necklace 22 inches is not recommended for children under the age of 5 years old.